 Your admission to Conway Medical Center has been requested by your physician. At the time you enter the medical center, you will be asked several questions by our admitting and nursing personnel. A registered nurse will perform a physical assessment and conduct a patient history interview. You will be asked specific information that is necessary for medical providers to best plan your care for this hospitalization. We appreciate your cooperation in providing pertinent information. In certain situations, a patient being admitted may not be able to provide this information. We ask that a knowledgeable family member or surrogate be present to provide this information to our health care personnel. When a patient or companion is limited English proficient and does not understand the language of the community, Conway Medical Center will provide a qualified interpreter at no-cost. CMC will also ensure effective communication with the deaf, hearing impaired, and individuals with other disabilities by providing the appropriate auxiliary aid or services, such as a qualified sign language interpreter, at no cost. If at any time during your stay you or your family have any concerns, please do not hesitate to bring this to the attention of your nurse, the nursing director or charge nurse for your floor, a nursing supervisor or our Customer Service Department. We hope to resolve your concerns as quickly as possible.